Riverdale - Chapter Forty-Five: The Stranger - Review: "Predictable outcomes"
After the shocking twist of last episode's ending, (we all knew that Archie didn't die...) we get to Archie's fate, he survived his attack, and predictably he decides to returns to Riverdale to face his problems. Betty has her own demons as well: Alice clearly is mad now and decided to liquidate Betty's college funds to help the escaped SOQM patients who have been living at The Farm. Her daughter is outraged and decides to ask for help to attorney McCoy. He informs Betty that she must go visit Hal, as Alice also forged his signature. The poor child has to face another psycho parent. Hal tells her that he is impressed with the Gargoyle King and offers her a deal: he wants to see one of the game's manuals in return for him signing the document that could let Betty pursue legal action. She also gets to know that Penelope visited Hal. I still can't believe how all the parents, except for Fred and maybe FP, changed so much during the TV show: it's not so believable that they all went mad and became totally crazy, unresponsible parents. But I guess, the worst is yet to come. The Serpents arrive at a Gargoyle Gang's ceremony and FP and Jug manage to unmask the Gargoyle King: he is Tall Boy. He faked his death and he has been working for Hiram. Basically, the whole town is working for Hiram: good for him. He is killed during an escape attempt. To end the episode with a twist, Hiram is shot and (maybe for good) badly injured. 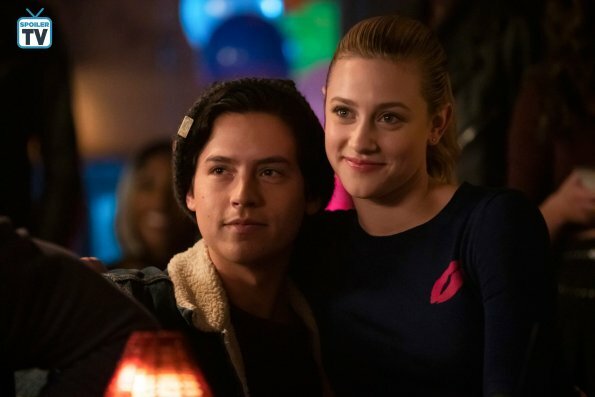 Archie can't catch a break, not only Veronica has already betrayed him, but she believes he is responsible and breaks up with him, (clearly) in order to reconcile with Reggie. I really don't like how the writers dealt with this storyline: it's all far-fetched and useless. 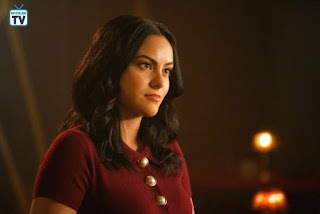 Do we really need a new relationship with Veronica? When will Hiram's circus end? 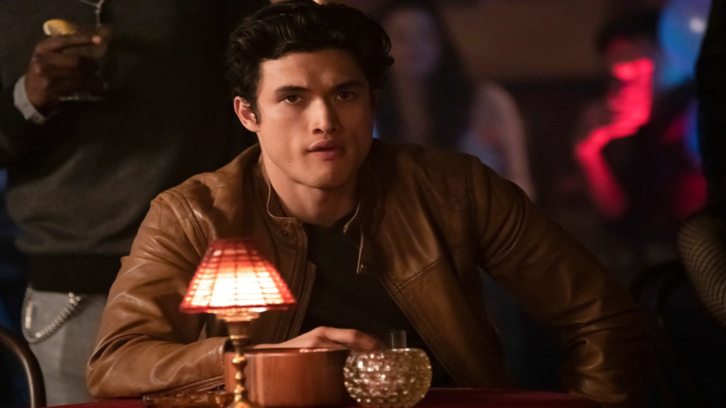 In another random twist, Hermione appoints FP as the new sheriff of Riverdale: Claudius is dead. All in all, I didn't like this episode. I am not enjoying the even more convoluted and complicated way that the story is embracing. The characters are losing credibility. And you? What do you think of "Chapter Forty-Five: The Stranger"?